In The Ester Ried Series, Isabella chronicled the transformation of a young man named Jim Forbes. Jim first appeared in The King’s Daughter as a member of a wild bunch of boys who showed up at church for the sole purpose of terrorizing the Sunday-school teachers. Jim was astonished to receive the watch, not only because of its beauty and cost, but because of what it represented. In the times in which Isabella lived, a man who carried such a watch and chain was considered a gentleman of the first order. 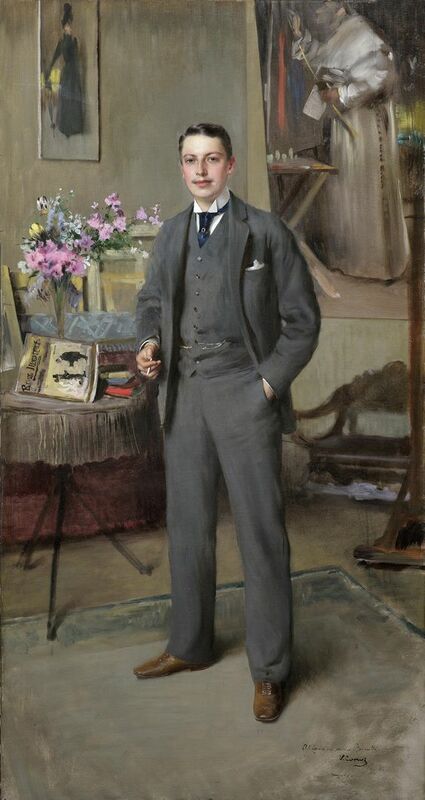 A Victorian Gentleman, by Vittorio Matteo Corcos, 1890. Isabella agreed whole-heartedly. In her books, Isabella dressed her gentlemen in neat, conservative, well-fitting suits. 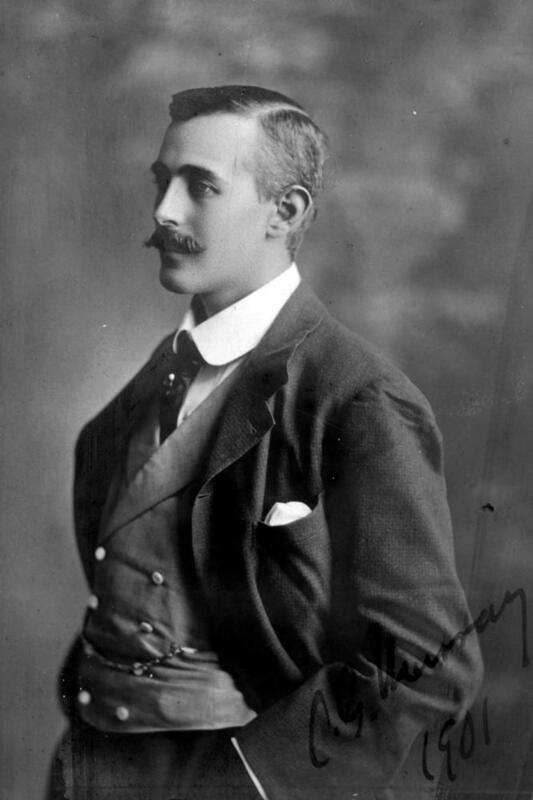 Even the wealthy men who populated her stories (like Edward Stockwell in The Ester Ried Series, Judge Burnham in The Chautauqua Books, and Mr. Burton in Christie’s Christmas) dressed in a way that did not call attention to themselves or their wealth. Dressing in the “height of the fashion,” Isabella believed, was better left to dandies and pretenders. 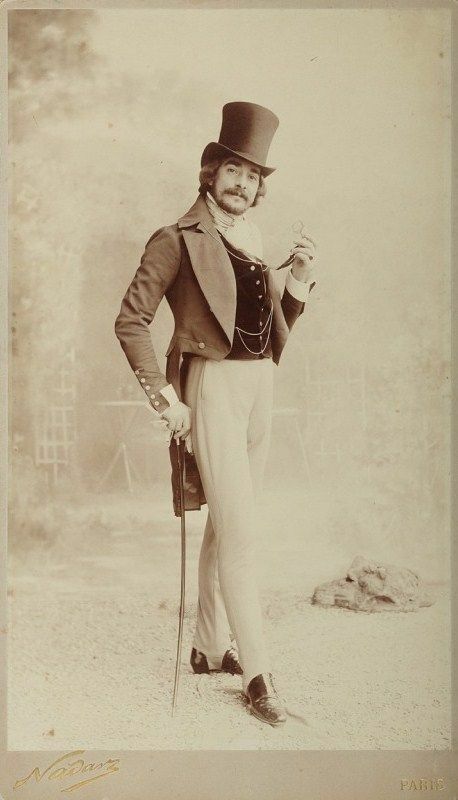 A Paris dandy, circa 1890. His multiple watch chains, quizzing glass, elaborate buttons, and overly-shiny shoes would have been considered vulgar by American standards. There were essential elements of a gentleman’s attire. In addition to a well-fitting coat and trousers, a gentleman always appeared in a waistcoat and tie. 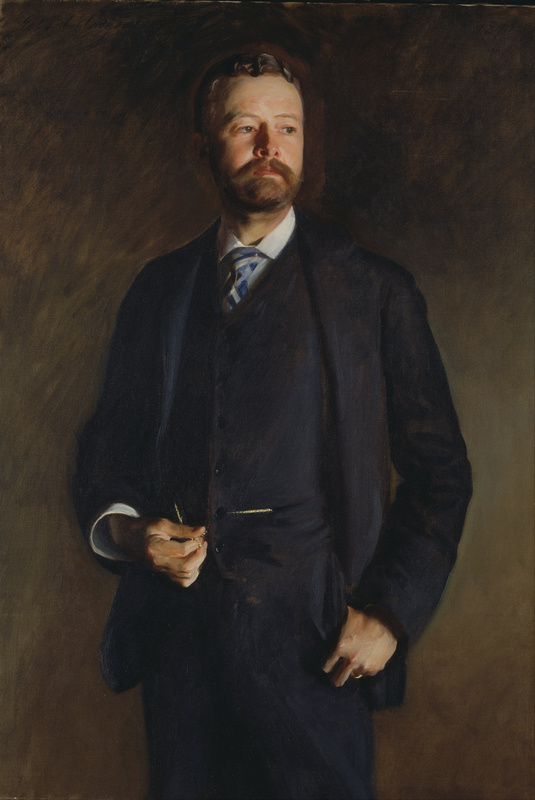 Portrait of Henry Cabot Lodge, by John Singer Sargent, 1890. 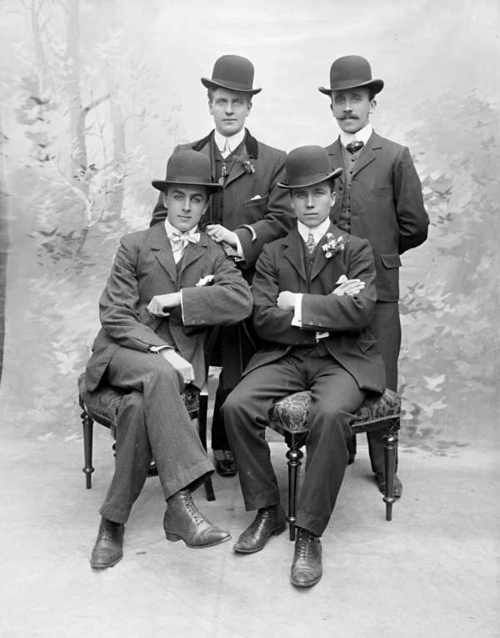 Even when they were relaxing around the house or engaging in leisure activities, men wore coats, ties, and waistcoats. 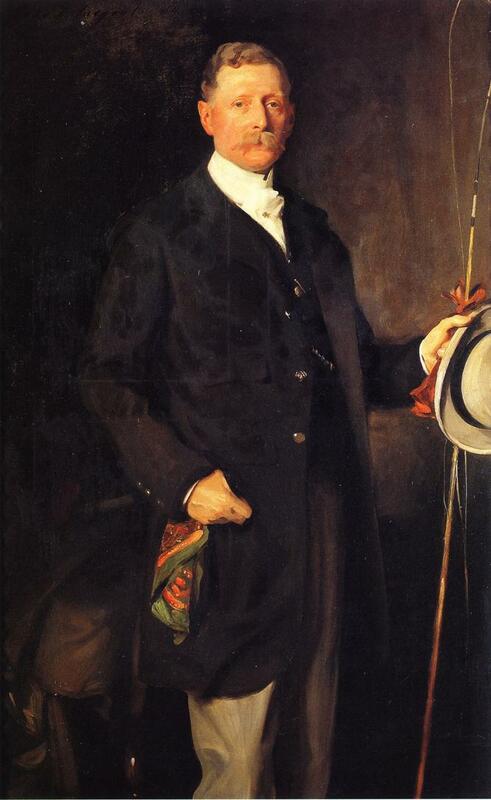 Captain John Spicer, dressed to go fishing, by John Singer Sargent, 1901. 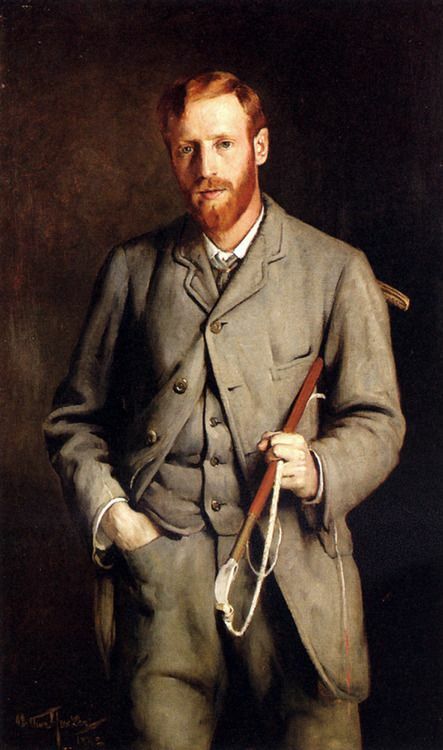 Portrait of the artist’s brother, dressed for riding, by Arthur Hacker, 1882. Another essential element of a gentleman’s appearance was an appropriate amount of facial hair. Beards and moustaches were considered to be a symbol of masculinity. 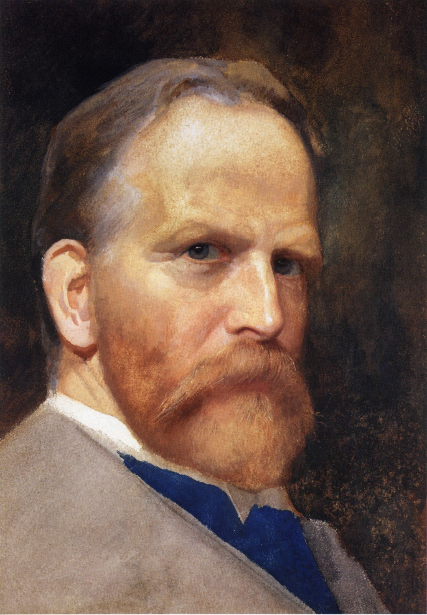 Self-portrait, by James Wells Champney. 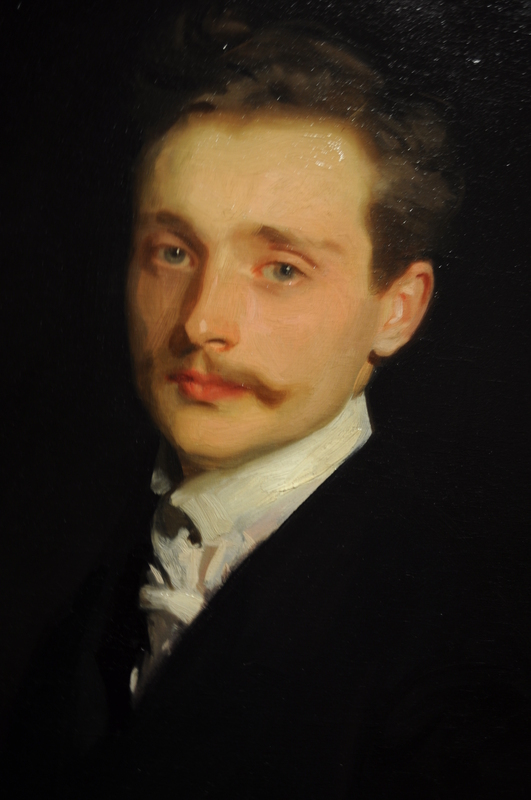 Portrait of Leon Delafosse, by John Singer Sargent, 1898. And charming Ralph Ried wore a full beard in The Ester Ried Series of books. 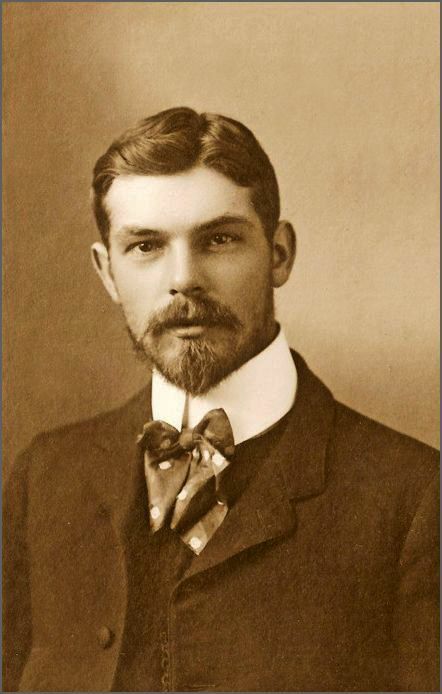 Undated photo of young man with a full beard and moustache. From Pinterest. Gentility is neither in birth, manner, nor fashion—but in the MIND. A high sense of honor—a determination never to take a mean advantage of another—an adherence to truth, delicacy, and politeness toward those with whom you may have dealings—are the essential and distinguishing characteristics of A GENTLEMAN. 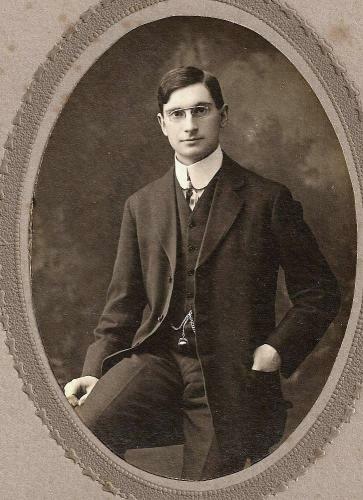 A 1901 photo of a fashionably dressed gentleman. You can click on the links below to find out more about Isabella’s books mentioned in this post.